You might have heard it said… that the electromagnetic spectrum, the thing that encompasses all radio and TV broadcasting, is a public trust. It belongs to everyone, like the national parks, and it’s intended to be used to benefit the public. That’s why you can put up an antenna and get free TV, and why your car can pick up free radio stations. So if that’s true, how can it be that satellite TV is encrypted? Let’s back up a minute. 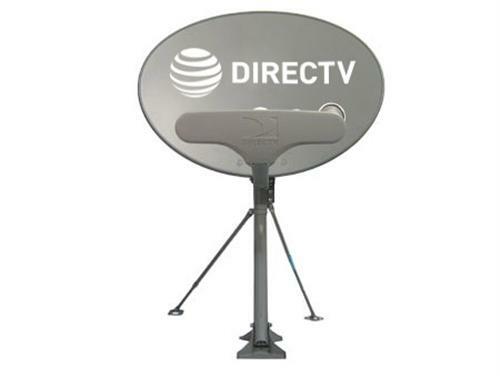 You can’t put up any old satellite dish and watch DIRECTV or DISH on your TV without paying for it. It’s not a limitation of the technology; several countries have what they call “Freeview” service where you can actually do that; get an 18″ dish and buy a satellite receiver and get free satellite TV forever. There was a time you could do that in the US, although you needed a bigger dish. So it’s not like they haven’t figured out how to do it. The problem is that it doesn’t make sense, at least not in the US. The countries that have Freeview satellites are the ones where TV stations are operated and paid for by the government. There are usually only a few channels that you can get for free; either you have to pay for additional ones or you need a different system. For example in Great Britain you can put up a Freeview dish but if you want more than a handful of channels, you need to get SKY service, the British equivalent to DIRECTV. The important part of this whole thing is the notion of “serving the public,” which is expected to be done by for-profit broadcasters. With TV and radio stations, for-profit broadcasters are required to put on a certain amount of public affairs programming every week, but that hasn’t been a very useful thing over the years. Starting in the 1990s, the FCC began to think of “serving the public” in a completely different way. Instead of looking at broadcasting as something that had to be free to everyone, they decided that the public was pretty well served already by free local TV. They could be better served by having hundreds of channels, but that costs a lot of money, and no pay-TV channel is going to let you put up their signal when anyone could just steal it and redistribute it. In short, in the 60s, 70s, and 80s the government wanted to protect you from corporations, and in the 90s and beyond they realized that sometimes corporations had the right answers. One answer that’s been very successful is satellite television. It’s a closed system, but you don’t have to use it if you don’t want to. If you do want to, you can choose your programming level and the companies will provide you with hardware to decode the programs you’re paying for. It’s done with sophisticated encryption technology that (at least at the moment) is so hard to hack that no one’s done it on a large scale. The government lets satellite providers add encryption and charge for decryption because if they didn’t, those companies wouldn’t be in business for very long. So it’s legal to encrypt satellite TV because otherwise there wouldn’t be satellite TV, and the “public” is better “served” by having satellite TV. End of story.